The Acer Predator XB272 is an HD gaming monitor capable of flying at 240hz. That’s a lot of frames per second and approaching double the traditional 144hz gamer screen. The monitor is not only blazing quick but good looking too. The ultra thin bezels always help make a monitor look slick and I always feel they help the images stand out too. At “only” high definition resolution some may be put off, seeking to move into the world of QHD or even 4K gaming but remember these higher resolutions do require powerful hardware to run, 240 frames per second is achievable on high end kit, but you’d need a stellar enthusiast rig to achieve that at 4k. 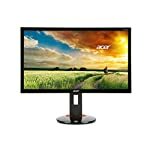 This monitor is not to be confused with the upcoming Acer Predator XB272-HDR which is backed by a different panel. We’ll link to it when it becomes available, highlighting the differences between the XB272 and XB272-HDR models. The Predator range is known for solid build quality and they seem to be getting slicker and better looking. This model has slim bezels which really help images stand out, and looks cool too. The stand is fully adjustable, with a -5° to 20° tilt capability, 45° swivel and the ability to vary the monitor’s height by 115 mm. It also comes with VESA mounting compatibility if you prefer to use your own stands. Connectivity gives you the standard two modern options, DisplayPort and HDMI. If you are looking for flexibility or old analogue ports then you won’t find them here. But not a problem if you simply intend to hook this up to a modern GPU. The TN panel is fairly standard in many ways, you get the same issue with viewing angles as you might expect from this technology but as long as you intend to sit in front of the screen then this won’t be an issue. The headline specification of the XB272 is the blazing fast 240hz refresh rate and as you might expect this produces solid smooth game play. At these speeds you don’t really need G-Sync, but should performance dip then the adaptive sync technology is there to help reduce tearing and stutters. 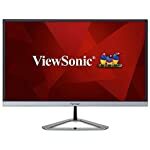 Of course there are some questions to ask about whether 240hz is really worth paying for, the return on fast frame rates diminishes quickly and it’s hard to noticed much difference as you push into triple figures. 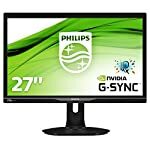 Professional reviews and owners report back decent image performance although the criticism seems to be that it could go further at this price point. The XB272 hits 75 percent of the AdobeRGB colour space, with accuracy scoring very well. It’s not quite professional standard but it’s good for this type of gaming panel. Out of the box calibration is spot on so no more tweaking required. We give the Acer Predator XB272 a 4 out of 5 rating. Want to know what existing owners of the monitor think? You can read real user reviews here. 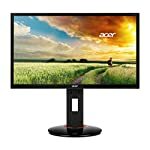 Should I buy the Acer Predator XB272? The XB272 sports a super fast refresh rate and you'll need a decent PC to crank out 240 frames every second. G-Sync will have you covered for those dips in performance ensuring a smooth ride throughout. 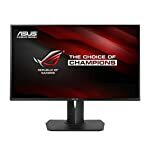 This is a good looking premium gaming monitor for anyone looking for a top range 1080p screen. If you are having some doubts about this purchase then why not read some real owner reviews and see what other buyers think. Welcome to the Acer Predator XB272 FAQ. This section attempts to answer common questions you may have, please get in touch if you have any more queries or if you think our answers need updating. Does it have a low blue light feature?